Eat Paint Studio is a storefront gallery located on the near north side of Chicago. Gallery hours are Wednesday through Friday, 10am – 5pm and Saturday, 11am – 5pm. If we appear closed, ring the bell. We might be making art in the back studio! Emily studied art in the late 90’s at the School of the Art Institute of Chicago where she also began learning HTML. 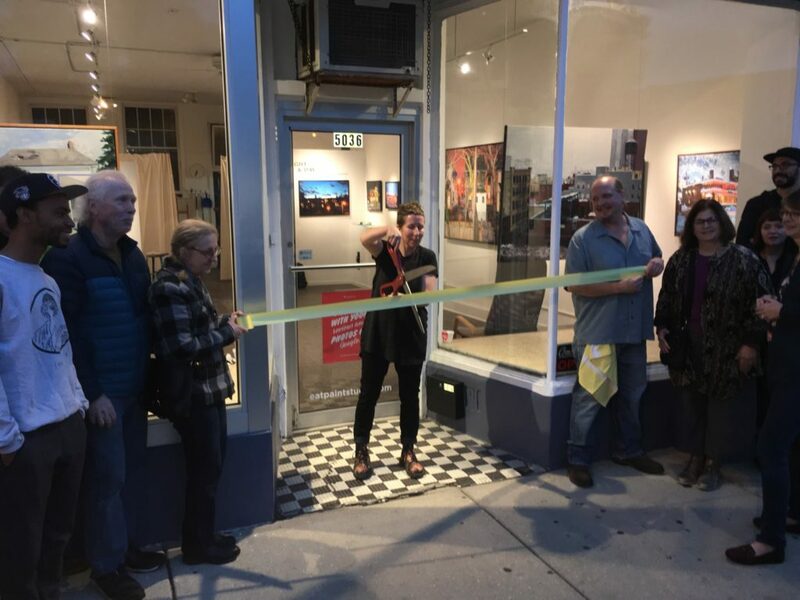 Following her interest in community and broadening the experience of art, Emily became significantly involved in building what has become the “Ravenswood Art Walk,” an annual tour of arts and industry in Ravenswood Corridor. She has worked with representatives of the arts community including the Chicago Department of Cultural Affairs and Special Events and the Chicago Artists’ Coalition in efforts to reform burdensome city ordinances as they relate to creative practices. The space at 5036 N Lincoln is the hub of current Eat Paint Studio creative endeavors, from digital projects to oil painting. A gallery and working studio, we are excited to create an accessible art experience for all!